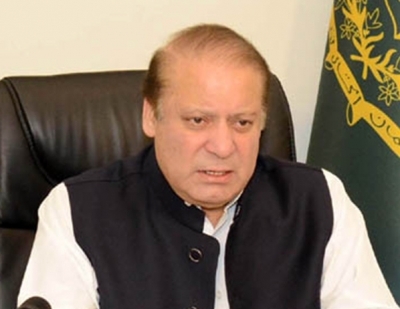 Lahore July 13 (IANS) Former Pakistan Prime Minister Nawaz Sharif and his daughter Maryam Nawaz were arrested by anti-corruption officials late on Friday after they arrived in Lahore from Abu Dhabi. According to reports a National Accountability Bureau (NAB) team has taken Nawaz Sharif and Maryam into custody. NAB officials said they had arranged two helicopters to shift the father-daughter duo to Adiala jail in Rawalpindi. The plane carrying them flew into the Allama Iqbal International Airport here. The father and daughter departed from Abu Dhabi after their flight was delayed for over two hours. They had left London a day earlier.